It started Friday night with a halloween trumpet party. 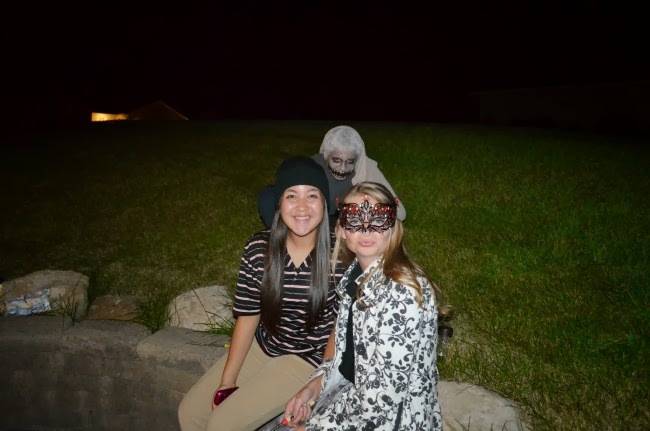 I was dressed as my older brother, Peter, who has a knack for wearing khaki pants and beanies. 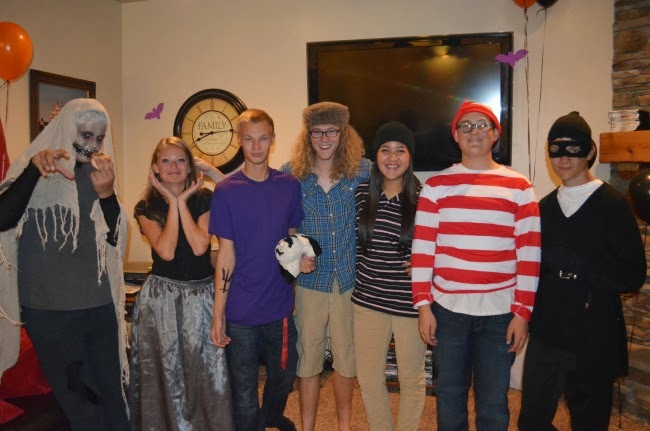 Other people in the party included Percy Jackson, Waldo, Wesley, and other characters. We had some of the parents come and we all played Telestrations together. We were all laughing and having a fun time. The next morning bright and early I took the ACT. It sucked so so bad, but at least I made it through without going to sleep. I went to the competition where my dad was announcing, and watched some of the little bands that went on before us. Our call time was 4:45 and we did a couple dry runs and put our uniforms on. We drove over to the competition and got ready and hyped. I love this show because it's our home show. The stands were completely full and we performed so well. Ah! All the visuals we added were stellar. those lazy hazy crazy days of...fall?